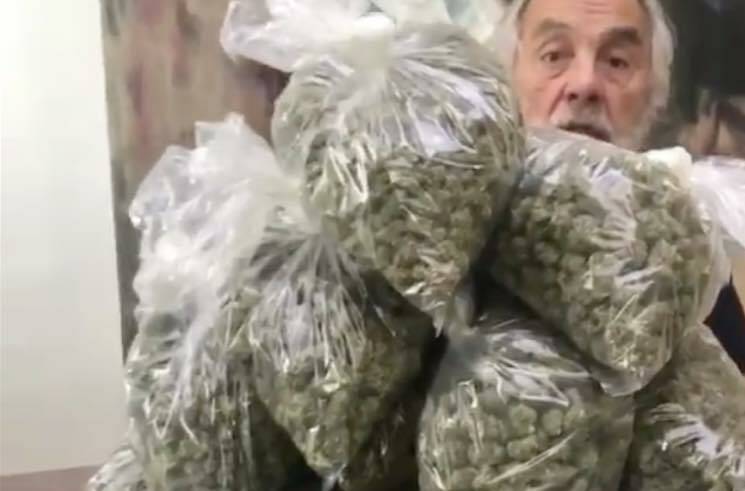 Canadian-born comedian and weed enthusiast Tommy Chong has spoken out against the government's hold on legal weed. While in Toronto to film the Air Farce New Year's Eve special for CBC, Chong spoke to the Canadian Press about Canada's recent decision to legalize weed. And although Chong is all for the legalization of recreational cannabis, he disagrees with how the government has handled it. "I love that it's Canada that was first [to do it before the U.S.]," he said. "See, God has a sense of humour: he gave us Trump and he legalized weed at the same time." Nevertheless, Chong said government-owned and sold pot isn't the way to go. "But that's the Canadian way," he said. "Like when they legalized alcohol, the government took control of the monopoly and you could only buy booze from the government, and the government is trying to do the same thing with pot." Chong continued: "They want to make it so that they're the only supplier and it's not going to work that way. So what Canada has done now, legally, they've kept the underground market alive and vibrant, because people still go to their dealer to get the best weed and the quickest weed." Chong also lamented the fact that he's still unable to operate or advertise his own cannabis company in Canada, but said that he'll be expanding to Germany, Ecuador and Brazil soon. In fact, Chong thinks he'll bring about world peace with his business because global powers will "be too stoned to fight, basically." As for any upcoming instalments of the Cheech & Chong film franchise in the era of legal weed, 80-year-old Chong said he doesn't have the energy for it. There is, however, a documentary about the pair in the works. Read the full interview here via the Canadian Press.